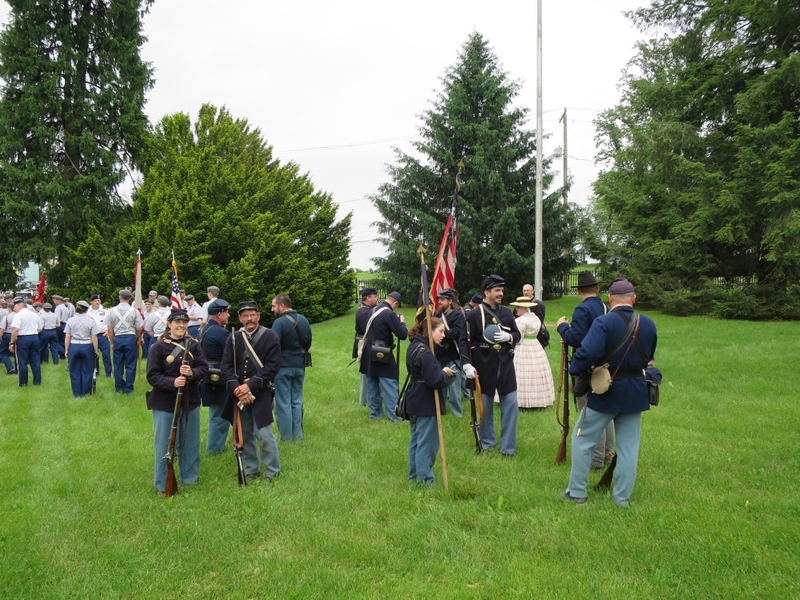 Near the end of our tours at Gettysburg National Military Park, we were walking home while the Memorial Day Parade was ending. 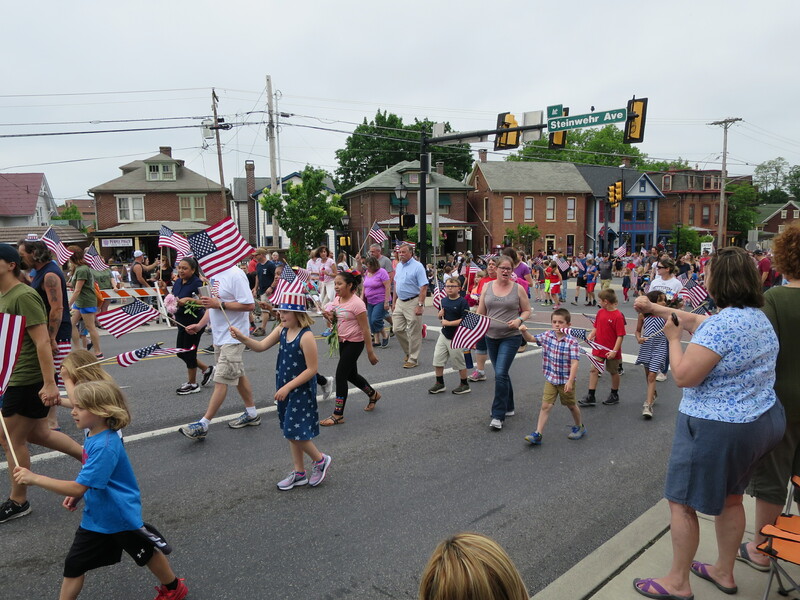 We thought we would show you a couple of pictures, including the elementary school children near the intersection of Baltimore Street and Steinwehr Avenue.This image was taken facing northwest at approximately 2:30 PM on Monday, May 28, 2018. 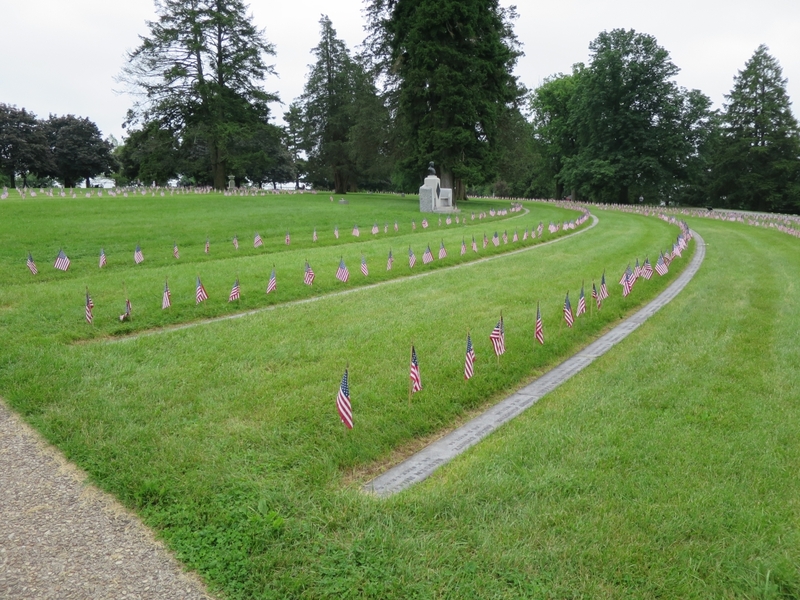 Frequently on our way home, we cut through the National Cemetery. The Pennsylvania section and the Charles Collis Memorial.This image was taken facing southeast at approximately 2:30 PM on Monday, May 28, 2018. This is the New York Section with the New York State Monument in the background.This image was taken facing east at approximately 2:30 PM on Monday, May 28, 2018. 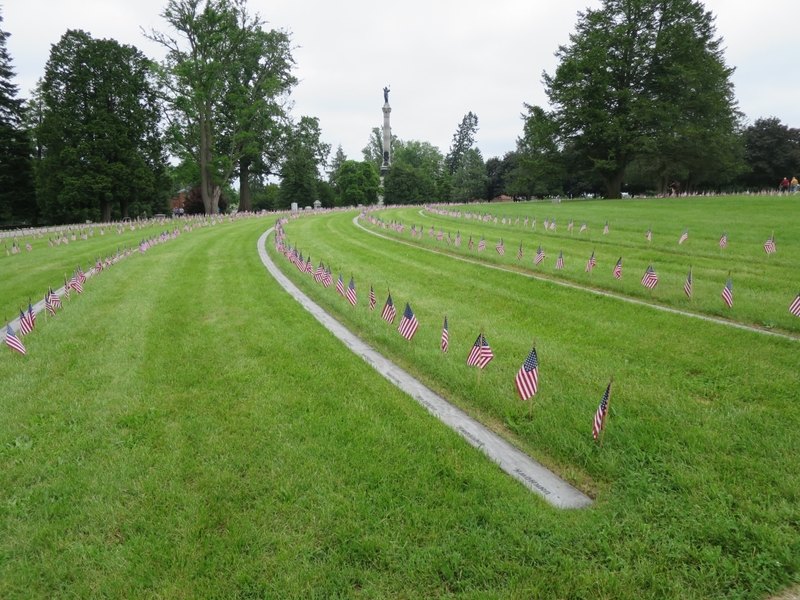 The New York Section is closest to the camera on the left of this photograph. 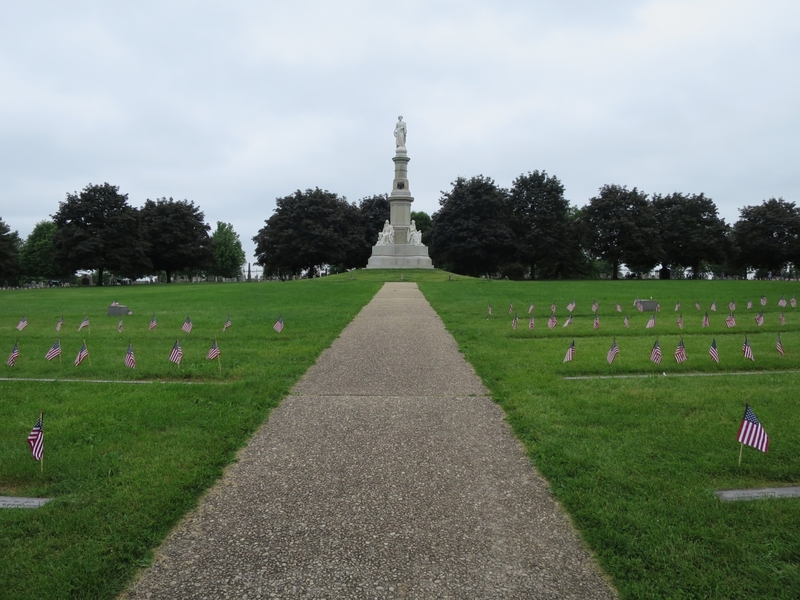 The Soldiers National Monument is in the center at the end of the sidewalk, and the Pennsylvania section is closest to the camera on the right of the image.This image was taken facing southeast at approximately 2:30 PM on Monday, May 28, 2018. 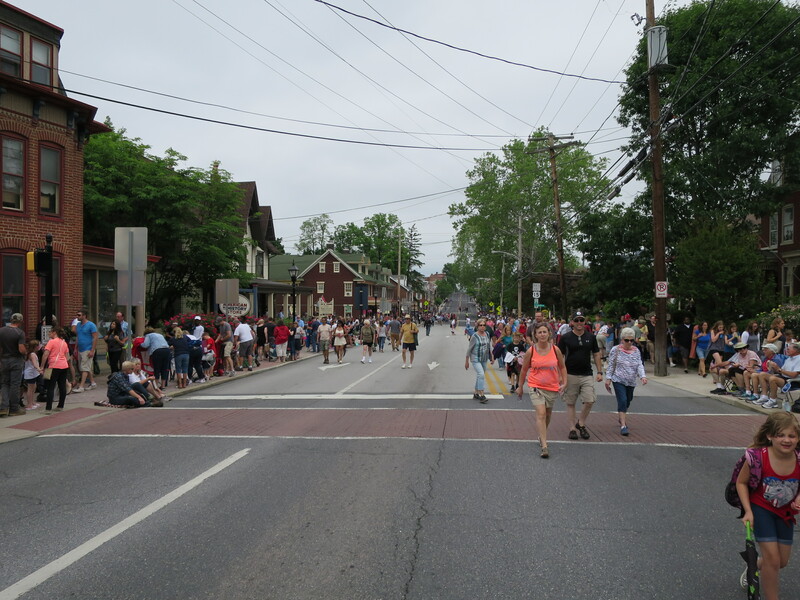 The Pennsylvania section is shown from another angle.This image was taken facing south at approximately 2:30 PM on Monday, May 28, 2018. 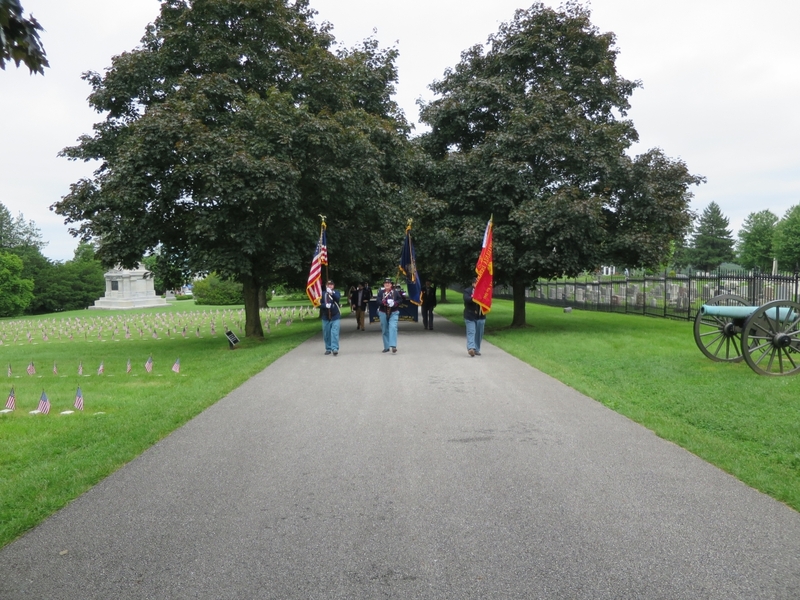 By the time we reached the area of the Soldiers National Monument, the parade was entering the cemetery.This image was taken facing northeast at approximately 2:30 PM on Monday, May 28, 2018. 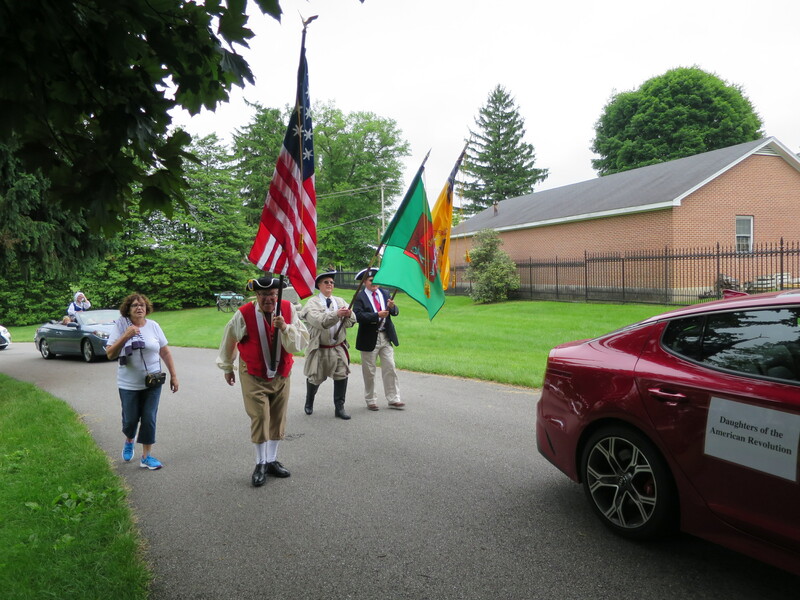 We assume because of the label on the car, that these must be the Sons of the American Revolution.This image was taken facing northeast at approximately 2:30 PM on Monday, May 28, 2018. 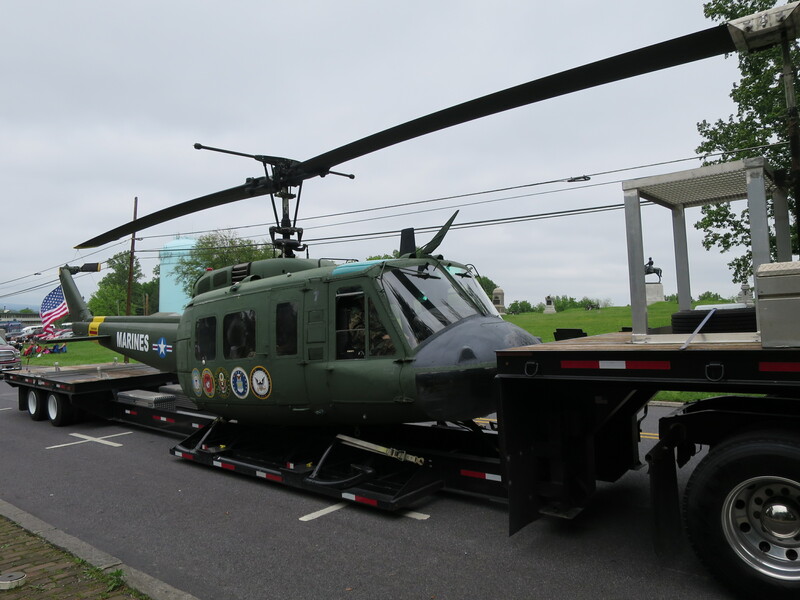 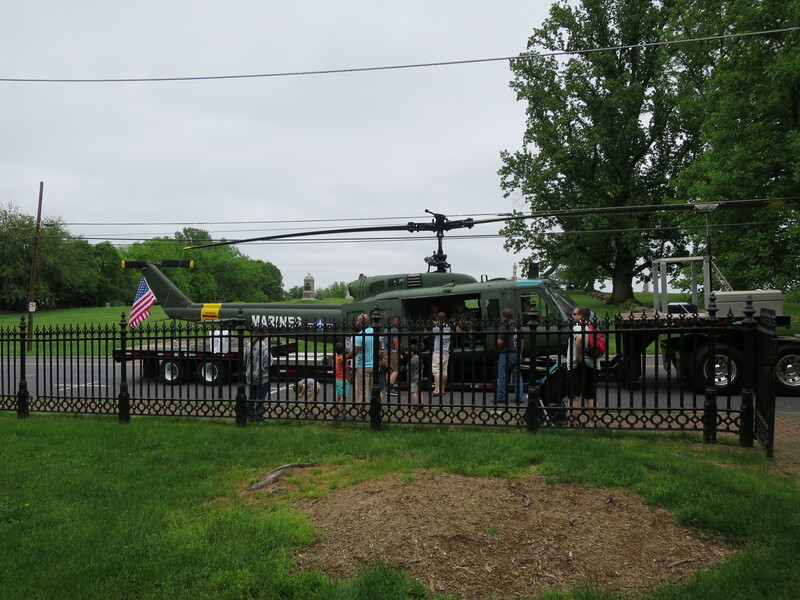 Veterans in the helicopter greet admirers on Baltimore Street.This view was taken facing northeast at approximately 2:30 PM on Monday, May 28, 2018. Even though it is a Marine helicopter, it carries veterans from the other services.This view was taken facing north at approximately 2:30 PM on Monday, May 28, 2018. 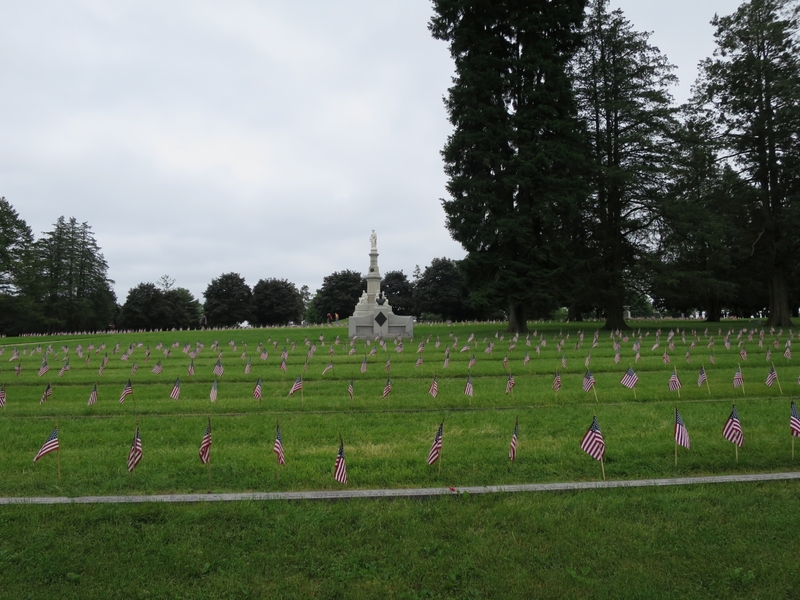 Near the Baltimore Street entrance to the Soldiers National Cemetery, these are Union soldiers who have finished their parade duty.This view was taken facing northeast at approximately 2:30 PM on Monday, May 28, 2018. 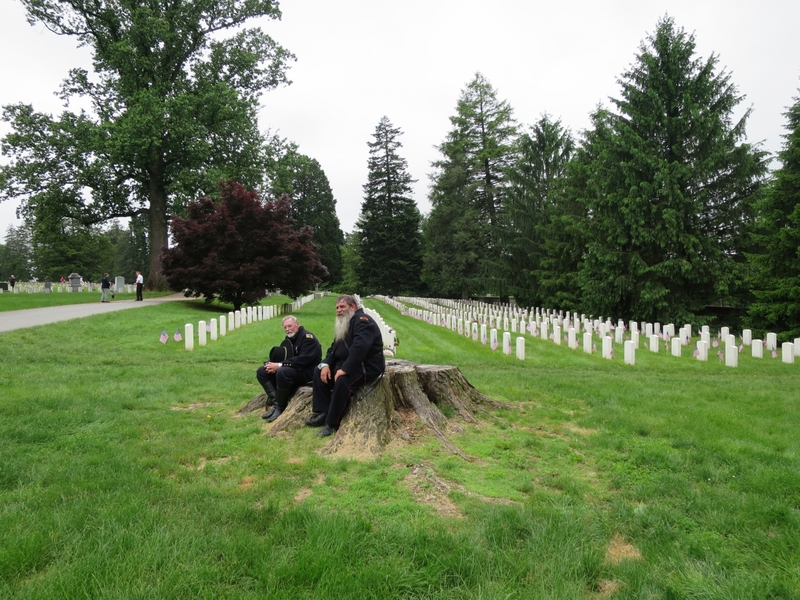 These Union veterans are taking a break on the stumps of one of the original trees that landscaped the cemetery.This image was taken facing southwest at approximately 2:30 PM on Monday, May 28, 2018. Back on Baltimore Street, we saw a visitor from Washington, D.C.This image was taken facing northeast at approximately 2:30 PM on Monday, May 28, 2018. 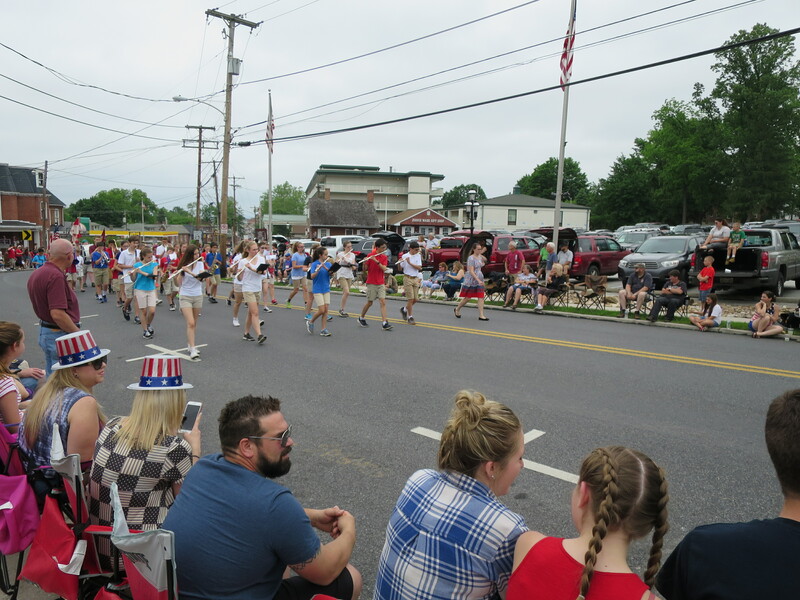 This is the Gettysburg Area Middle School Band.This image was taken facing northeast at approximately 2:30 PM on Monday, May 28, 2018. 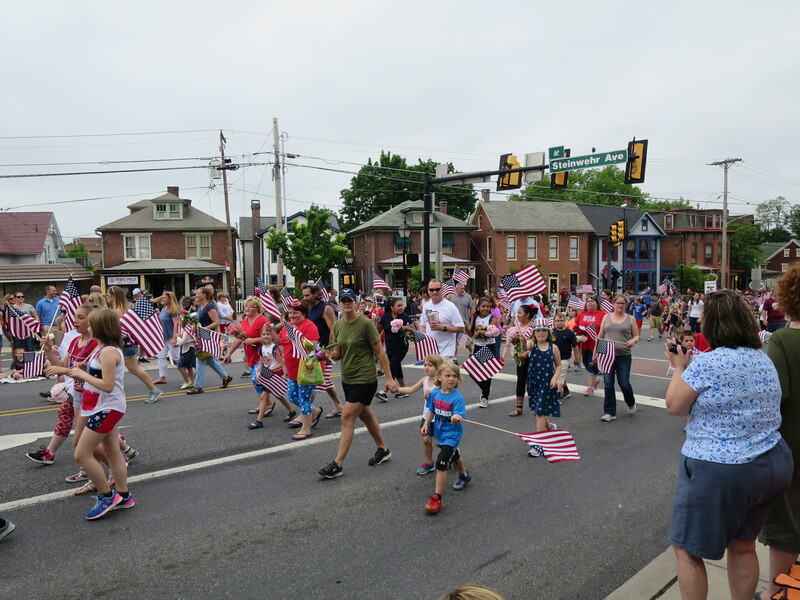 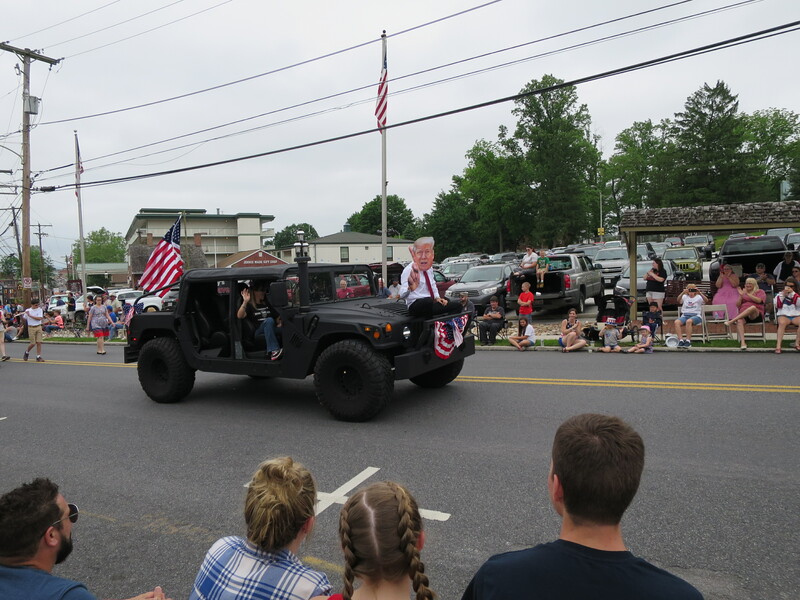 As usual, the crowds are pretty good for the Memorial Day Parade.This image was taken facing north at approximately 2:30 PM on Monday, May 28, 2018. 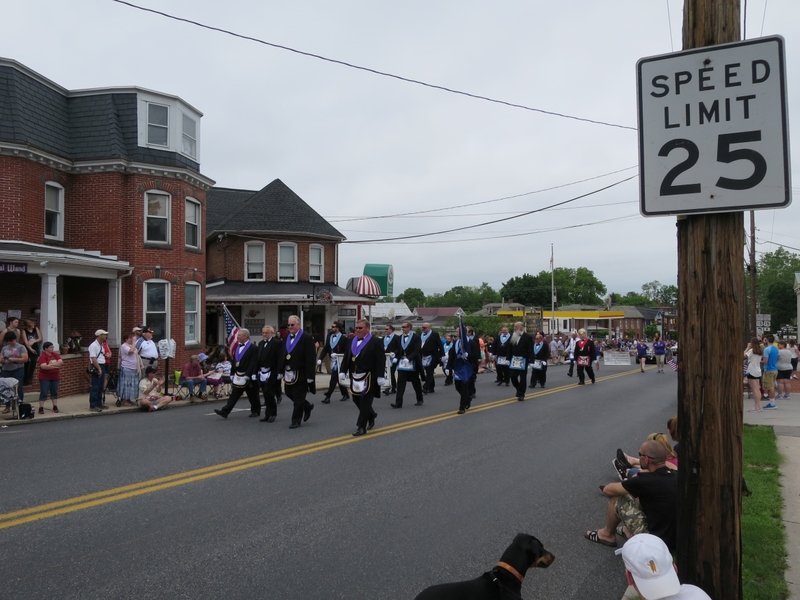 The Freemasons made an appearance.This image was taken facing northwest at approximately 2:30 PM on Monday, May 28, 2018. 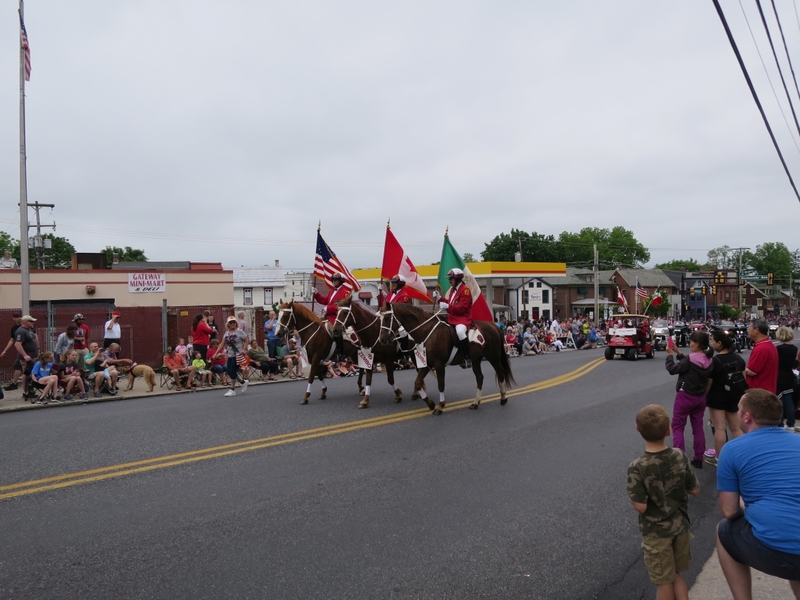 This is our token animal shot.This image was taken facing northwest at approximately 2:30 PM on Monday, May 28, 2018. The Gettysburg elementary school children are shown again.This image was taken facing northwest at approximately 2:30 PM on Monday, May 28, 2018. 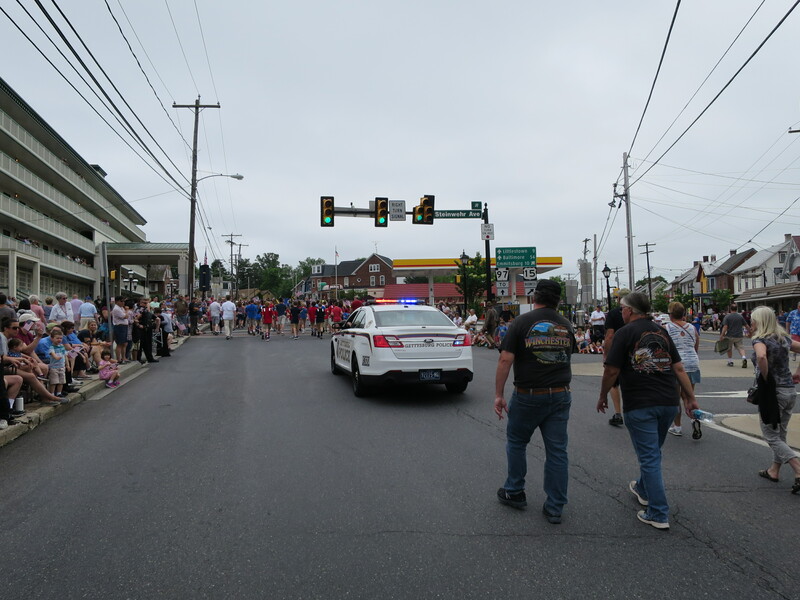 By the time we reached the intersection of Baltimore Street and Steinwehr Avenue, the parade was over.This image created facing south at approximately 2:30 PM on Monday, May 28, 2018. 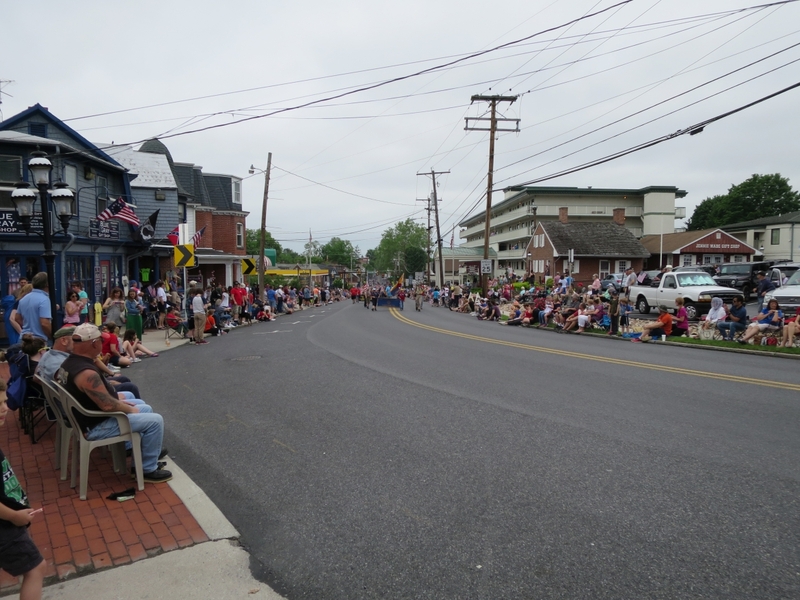 Baltimore Street: The aftermath of the parade.This image was taken facing north at approximately 2:30 PM on Monday, May 28, 2018.